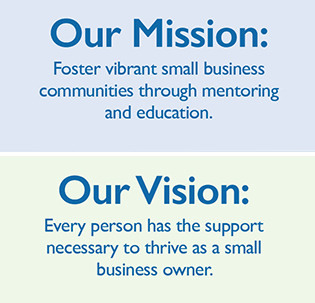 SCORE Peoria provides free and confidential business mentoring tailored to meet the needs of the entrepreneur or small business owner and tailored to your personal objectives. Peoria, IL Chapter of SCORE (For The Life Of Your Business) is part of a national nonprofit association dedicated to entrepreneur education and the formation, growth and success of the nation’s small business. SCORE volunteers serve as mentors. SCORE Peoria serves 10 counties in the Central Illinois Region: Fulton, Knox, Marshall, Mason, Peoria, Putnam, Stark, Tazewell, Warren and Woodford Counties. Our current SCORE Volunteers are mostly located in Peoria and Tazewell Counties. SCORE volunteers are real-world professionals with time-tested knowledge who donate thousands of hours to help small businesses succeed. Mentors have backgrounds and experience in such areas as accounting, finance, marketing, manufacturing, management and business plan preparation. You won't find a more dedicated group of volunteers! SCORE Peoria was established August 1, 1965 and currently has 20 active members.